WeddingLinks.CO provides hundreds of affordable to luxury wedding venues and wedding services including photographers, bands, DJ's, Officiants, Caterers, Florists and Party Rentals In California. Our "Best Style California Wedding & Honeymoon" digital Magazine accesses hundreds of Award Winning Venues & Services' LINKS To Ten Favorite Destination Areas in the State. North Valley is one!!! These beautiful areas of Northern California are inspiring backdrop for your wedding and reception. The unque terrain, gardens, historic mansions, vineyards, views and cities invite you into their dynamic settings. Paradise sits on a V with dramatic canyons on each side with rivers flowing year round. Weddings are held along the river and parks tucked along the rim of the canyon walls. We found the Butte County region brings you easy wedding planning with talented services, delightful shopping for gowns and is also a lovely area to plan your elopement. The parks system handles many of the venues. Chico is an amazing city with many historic mansions and delightful bed and breakfasts with gardens. The college town gives you well trained events professionals and enjoyable vendors to work with. The parks are stunning with oak trees, and the ranch lands are beautiful in this area. There are new wine country venues to enjoy in Butte County. Red Bluff and Tehama County area. The modern hotels and quaint town of Red Bluff are fun. The Redding and Shasta area is amazing. The areas of Lassen further north and Shasta Mountan and Lakes have a variety of enjoyable , environmental and green wedding attitudes. The region if filled with amazing wedding services where the couple's dreams of a luxury or affordable wedding venue comes true. WeddingLinks.CO and also receive our "Best Style California Wedding & Honeymoon" e-Magazine. Our Award Winning Venus and Services are linked in this January 2015 issue. It must be that time of year again. Valentines Day, February 14th, 2015 is heading our way. There are amazing cupid ideas springing forth for enjoying this celebration of romance. Many couples become engaged or get married on Valentines Day. Personally, I would love to see the emphasis and action on love year round. As Anne Wycoff says in her Essay on, "Love Is A Verb" on WeddingLinks.co. For those of us who are out of touch with creative thinking, I would like to share some valentine ideas. First of all romance does not mean you must spend enormous amounts of money to prove your affection for someone. There are fun ways to valentine the man or woman in your life. If you are into gifting, preview some of the suggestions below...but fist here are some creative ways to valentine. 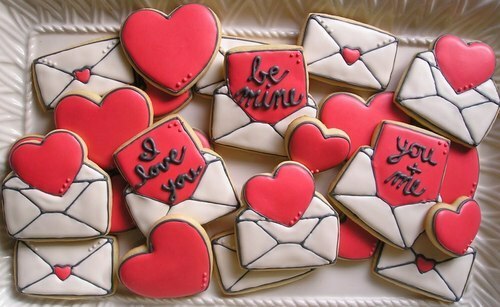 If your love interest takes their lunch to work, pin your valentine on their fruit or slip it in the bag/box. Maybe you love to bake and cookies are a favorite. Say it first thing in the A.M with an amazing breakfast. Find 10 ways to make your Love Interest happy and write it out as a proclamation or a coupon book to collect on. Do at least two on the list - on Valentines Day- take action of the rest through out the weeks ahead. ie give you a foot rub - cook your favorite meal once a week - have your ladies night out here or poker night here once a month - start a new sport together - take you to dinner at our favorite restaurant - wash your car once a month - (do what continually makes them happy). Create a romantic dinner for two at home. This really takes effort if you have children requiring care. Work on the details (babysitter) days ahead, menu, shop, cook... so you are not worn out that night. Red Stamp Cards are so much fun when you have a long list of valentines to send out. TOP favorite gifts for Valentines: Sports Equipment or Tickets, Perfumed Items, Flowers, Champagne or Wines, Underwear Garments, Chocolates or Candy Favorites, and Cards. Big Priced Items appear to be Kindles, Phones, Unique Electronics and Items for Cars. Dinning Out: Did you know this is the most booked night of the year at restaurants. This is a do-it-ahead reservation, weeks in advance at popular restaurants. Life Can Be A Box of Chocolates Especially Dan's Chocolates & Truffles. You search the web, the bridal shows and still are not finding the perfect venue or wedding service for your budget or wedding style. Maybe you are planning a destination wedding or a same day wedding for two. We offer you Award Winning businesses and venue in ten great regions of California to shape up your wedding, reception and honeymoon. The "Best Style California Wedding & Honeymoon e-Magazine. It is free when you sign up to receive it at that link. You will open to find fun articles, a top California fashion designer, Find the magazine's Award Winning venues and services in ten regions of California - along with award winning vendors. It is a known fact a newly engaged bride-to-be will shop for beautiful bridal magazines as they begin to plan their wedding. They are searching for ideas, gowns, inspiration and services to assist in their wedding and reception. We are seeing a growing trend toward wedding e-magazine (digital bridal magazines) that open from their e-mail, a sent web address and from web magazine stands. e-magazines. They titles have doubled over the past year and new regional magazines added. Some are free and others are paid per issue. We ask brides why they prefer digital e-magazines and we found these common answers. We have a Kindle or IPad for reading e-magazine. We can go directly to the advertisers website and review their information. I am doing everything on my I-phone and my I-pad. e-Magazines work for for how I live my life. They are easy to access with so many web news stands on the internet today. I commute and can open and plan everything with the WIFI available. You will seen from the links below... why a Wedding Coach would find the versatility amazing!! These are free to read. *Ideal for any bride hosting a wedding in California that wants proven venues and expert wedding services. *Ideal for brides who want to capture the Paris Trends in their wedding celebration. *Unique application of bridal ideas and trends for brides of color. Sign up to receive your free wedding planning book, management forms & gifts.